Cortana powered Search in Windows 10 can index the contents of your Office files. 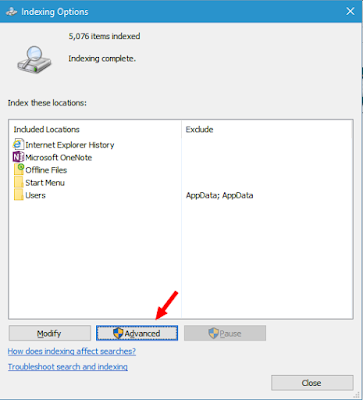 Update: From the build 18282, Microsoft added an 'Enhanced' search feature to Windows 10. This allows you to index every file and folder on your PC including properties of encrypted files. The 'Enhanced search' will give greater and faster results. So if you have too many Word or Excel files, Windows 10 search can help you to get a specific file immediately. The Windows search is surprisingly fast and useful if you compare with the older versions of Windows like Windows 7. You can use the Windows search feature to search the contents of the file instead of searching mere file properties and the file name. You merely have to change little settings. Go to Settings >> Cortana >> Searching Windows. Select 'Enhanced' option instead of 'Classic' which is the default. Scroll down and you can edit 'Advanced search indexer settings'. 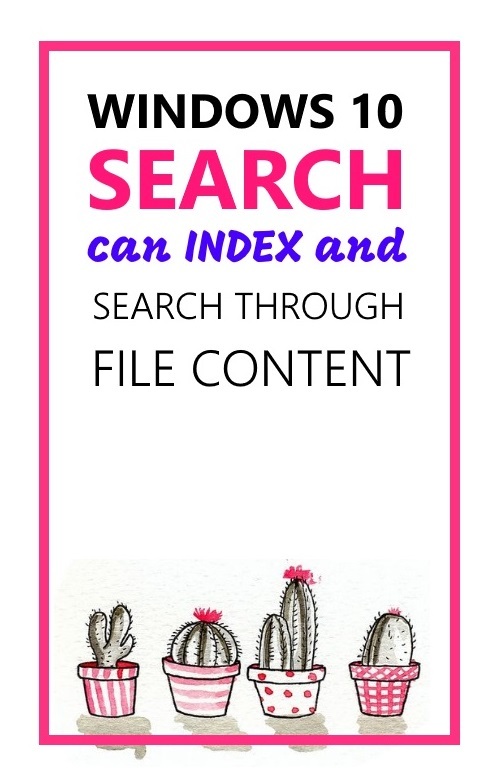 Here you can add or remove the location of the file to index. Also completely rebuild the search index from scratch. Open the indexing options dialogue windows, click on 'Advanced' button. 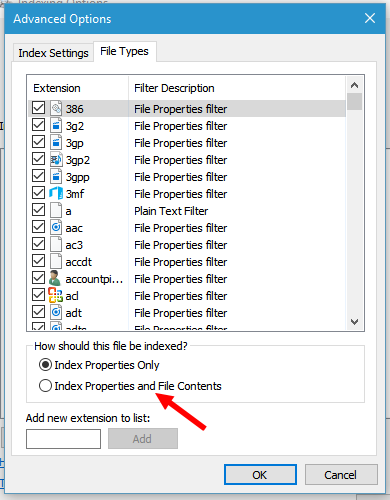 Go to 'file types' tab and select the option 'Index properties and file contents'. You can also exclude some types of files those should not be indexed. Like you can skip files with unknown extensions, Windows help files and similar so that the search result would be clutter free. For that untick the file types you don't want to be indexed. Give little time to Windows for refreshing the index. Now you are ready to search through file contents. Do you use the Cortana or the Windows search frequently? What is your experience? I use 'Wise JetSearch'.... never tried your suggestion. No problem in using this party option of you are comfortable. But this is native and you don't need to install anything extra.